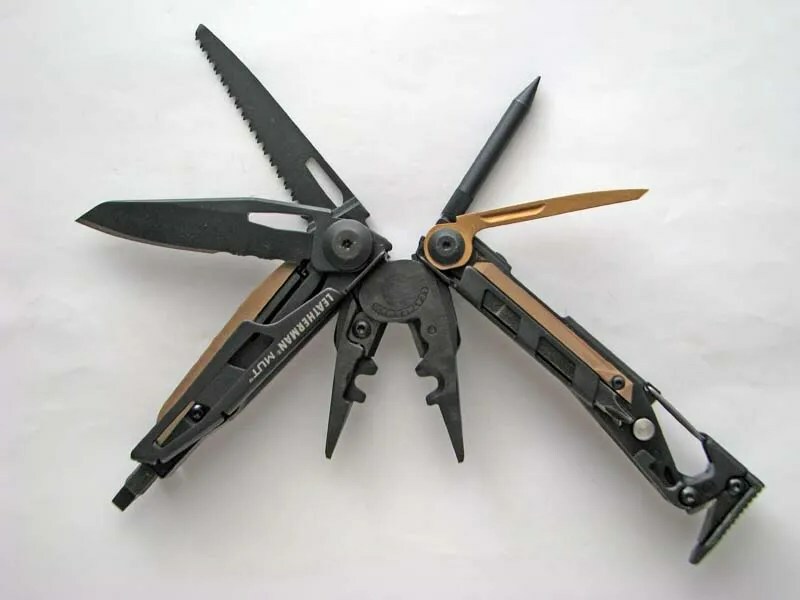 Each and every person that venture out into the field will appreciate having a multitool on their side or in their pack. These little devices not only are helpful but could save your life! Below are some of the newest and hottest ones on the market. 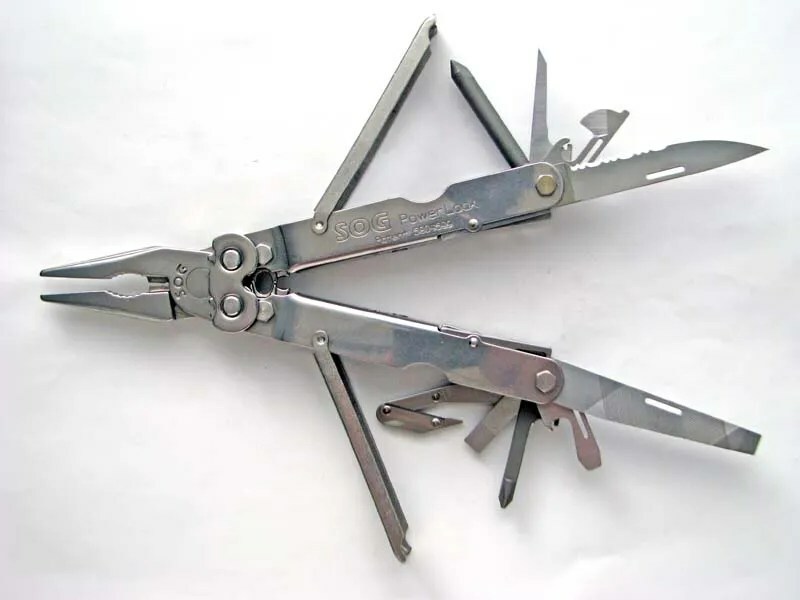 In this article, we will be looking briefly at the following multi-tools. Leatherman Vista, Remington Bird Hunters Tool, Bear & Son Bird Shears, Gerber MP600 DET, Remington Wingmaster, SOG Powerlock 2.0 EOD, Leatherman MUT, AR Multitasker, Multasker Ultralight. 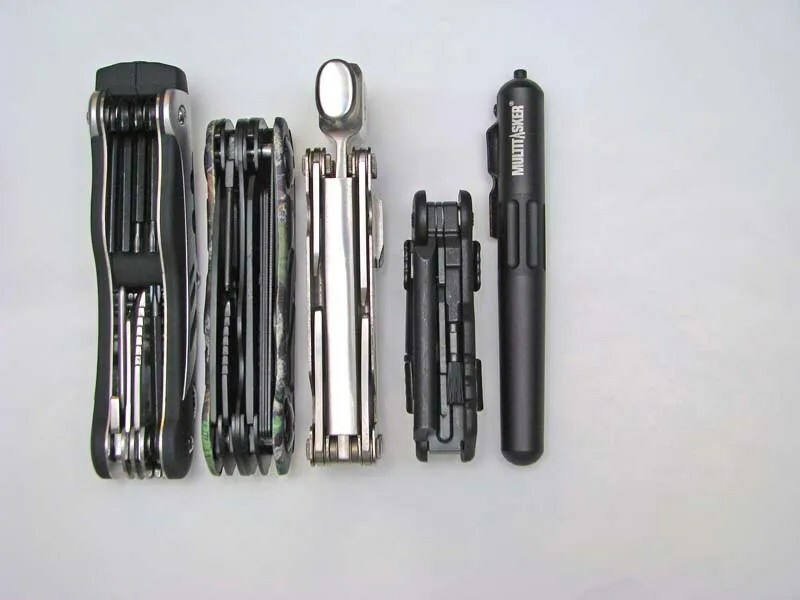 Avid Design Gun Tool, Avid Design Turkey Tool, Beretta Shotgun Tool, Gerber eFECT, Multitasker TUBE. 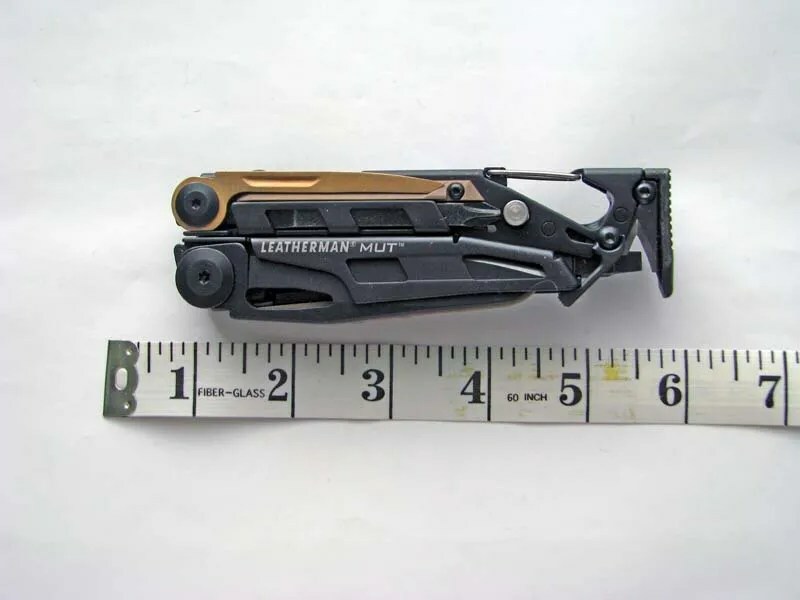 – Gerber Evolution MP650 Military Tech kit. – Avid Design Gun tool. – Bear & Son Bird Shears. – Remington Bird Hunters Tool. – Avid Design Turkey Tool. The Gerber MP600 DET has been around for quite some time, having been first introduced back in 1999. It is a member of an extensive line of Black Oxide tools in the Multiplier series, hence the MP designation. This version of the venerable MP600 series was designed specifically for the Explosive Ordinance folks. The tool features a C-4 spike and a blasting cap crimper which is built into the pliers. Another useful feature is the inclusion of a removable RemGrit saw blade. You can add different saws to suit your needs. 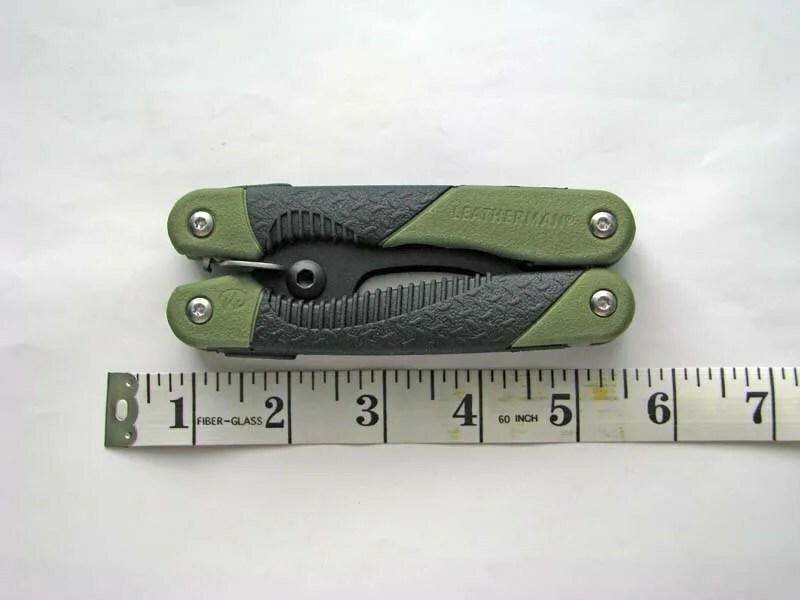 The tool comes in black oxide for the military folks and features Gerber’s unique sliding pliers that allow one hand opening. Note however, that the tool does rattle (All MP400 and MP600 Gerbers rattle to an extent). So if you are into special ops and silence is key, look elsewhere for your stealth tool of choice. 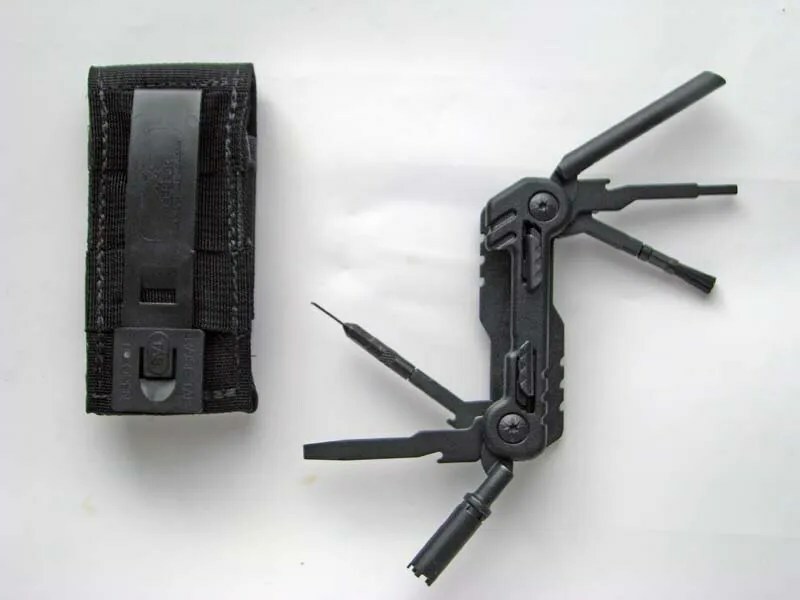 Gerber Evolution MP650 Military Tech Kit. 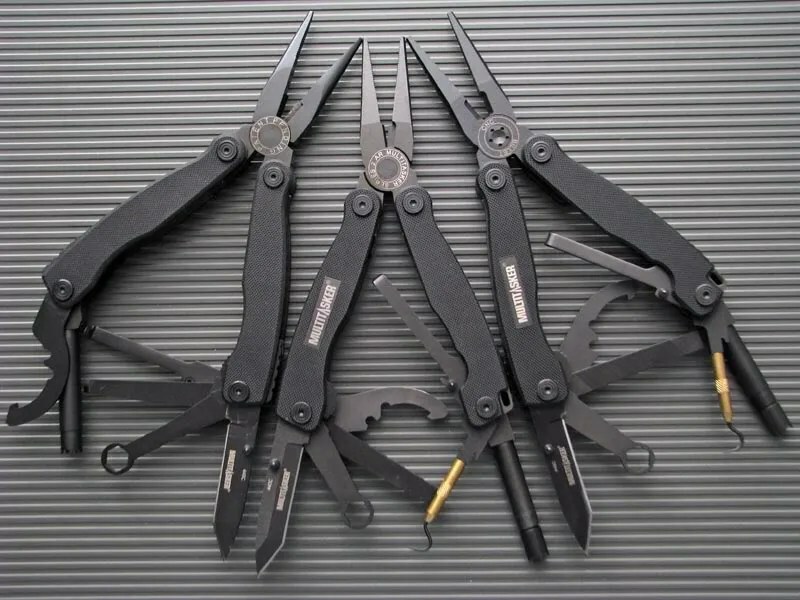 The Gerber Evolution MP650’s claim to fame is that you can remove the plier heads and re-attach different ones depending upon your needs. 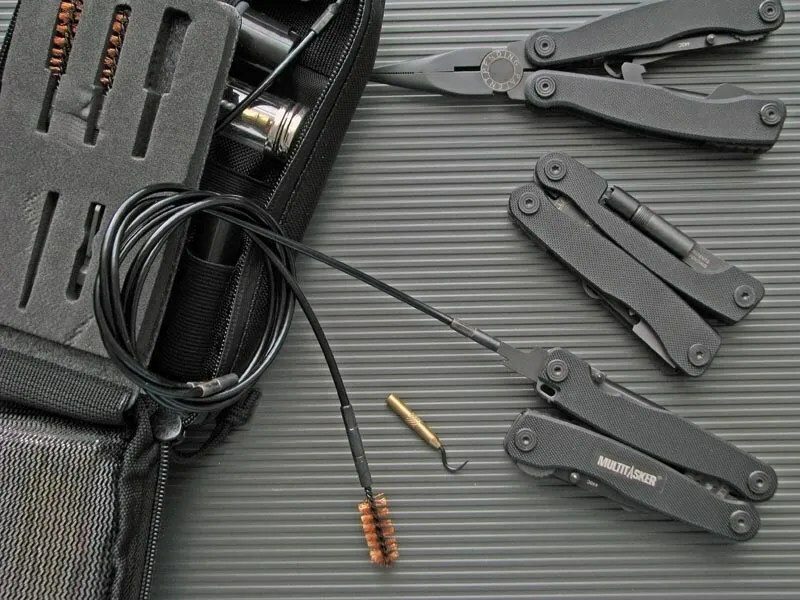 The Military Tech kit comes in a very large pouch that allows you to store your MP650 and 5 different plier heads along with maybe a cleaning kit or some odds and ends you may need in the field. The pouch is massive, and the tool itself is not compact. The pliers do not slid into the handles for storage. 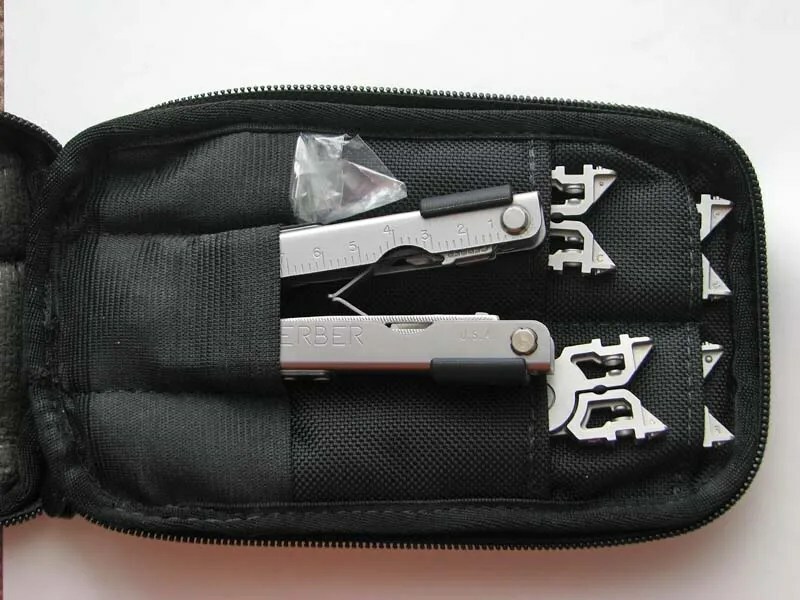 Thus you are left with a bulky set of pliers that are interchangeable. Now the kit does come with a wire cutter head, blunt nose, needle nose, and Cap crimper head for your EOD needs. This is why I have included this discontinued tool in this section of the overview. Older kits came with the tool pictured above, which lacks the internal handle springs. 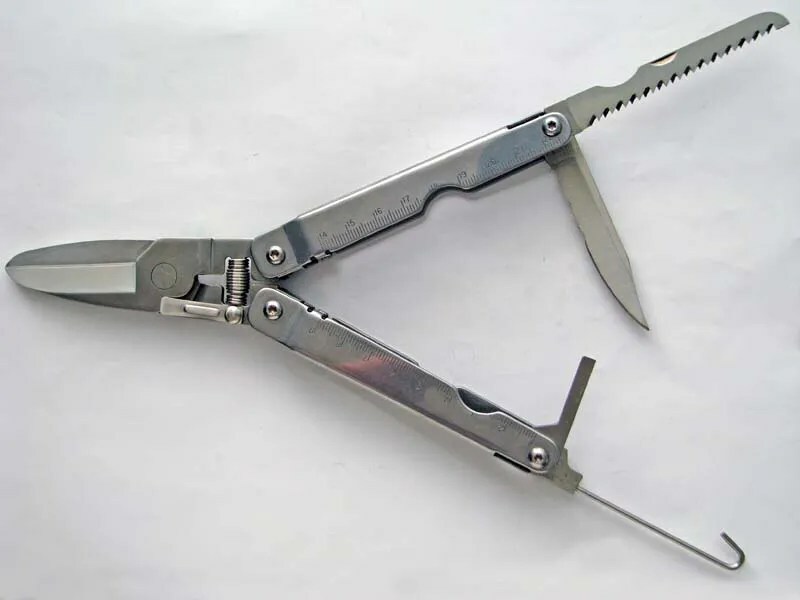 Newer Evolution tools have the handle springs that prop open the pliers when at rest. 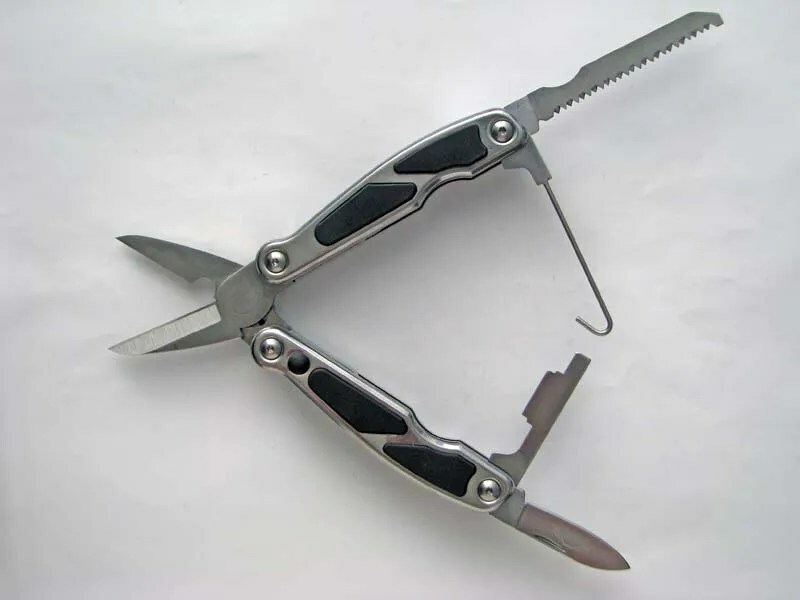 So a different idea that does expand the usefulness of the multi-tool, but fails in both execution and portability. Besides, you just have to wonder how many plier heads get lost in the field. I do not have the black oxide version which I would think, might be of more interest to the military user. 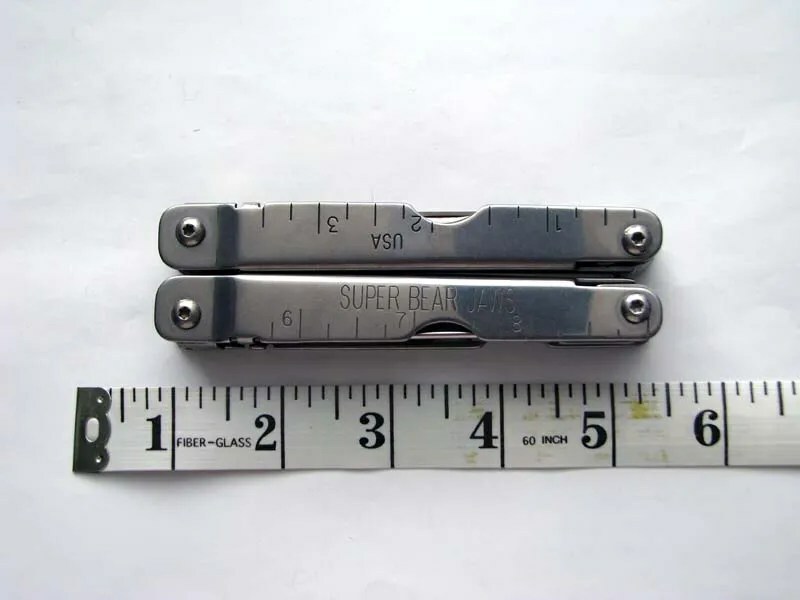 However, the stainless steel version is identical to the BO version, and this should give you a nice idea of what the tool looks like, and its capabilities. 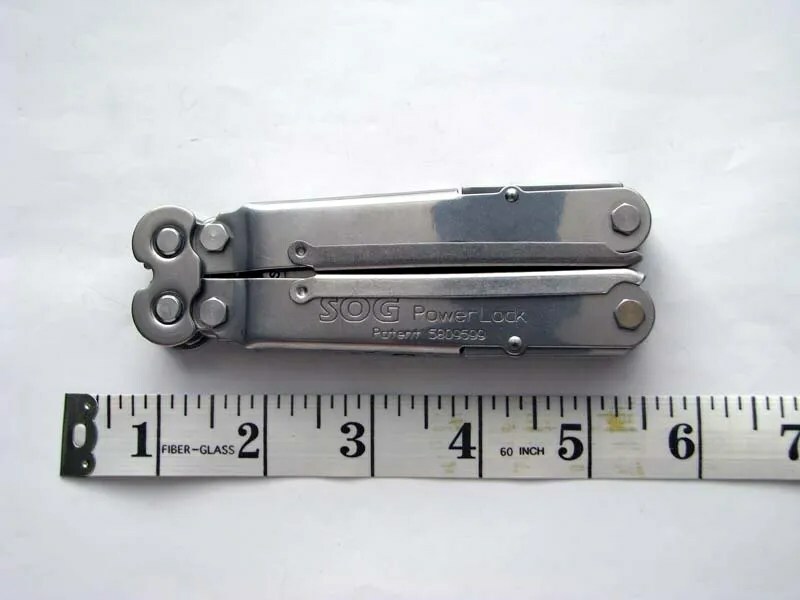 SOG does make nice multi-tools. They feature gear driven plier heads that are supposed to give you 2 to 3X the force of regular plier heads. They also are very easy to configure to your liking. 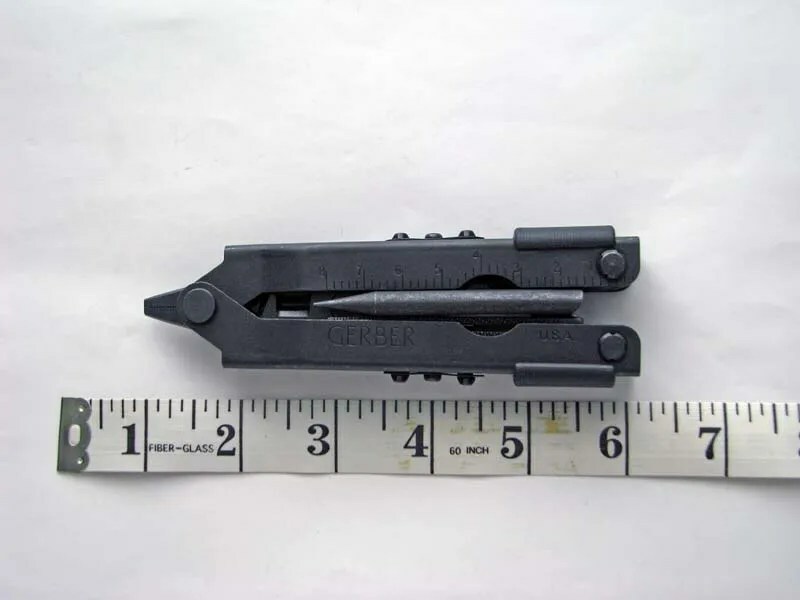 SOG sells optional tools that are easily interchangeable. 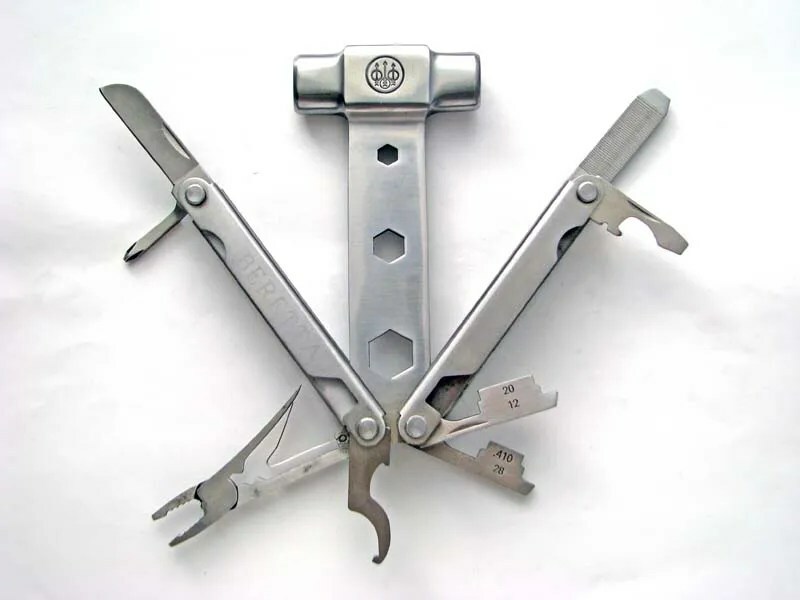 An added benefit to this feature, is that a SOG should be easy to clean compared to other multi-tools that don’t want you to disassemble them. 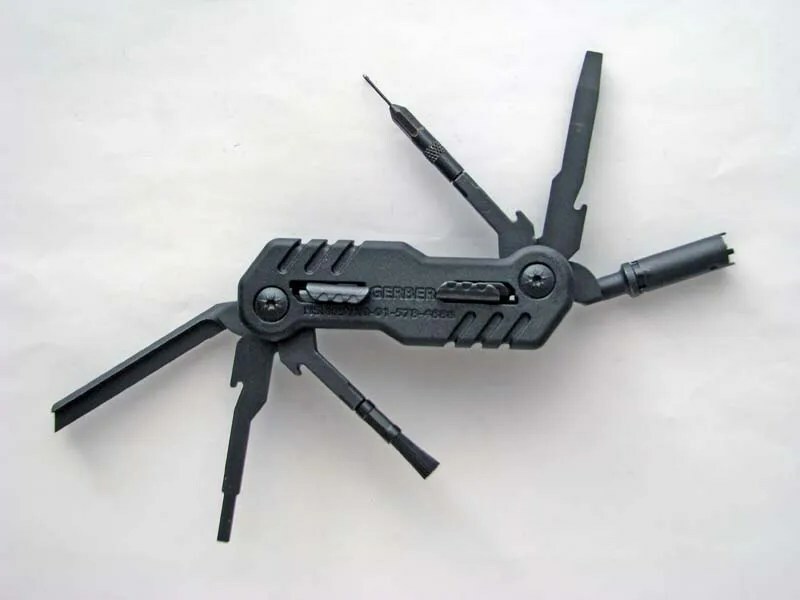 This version features a C-4 Spike and is the updated 2.0 version of the Powerlock with cap crimper. 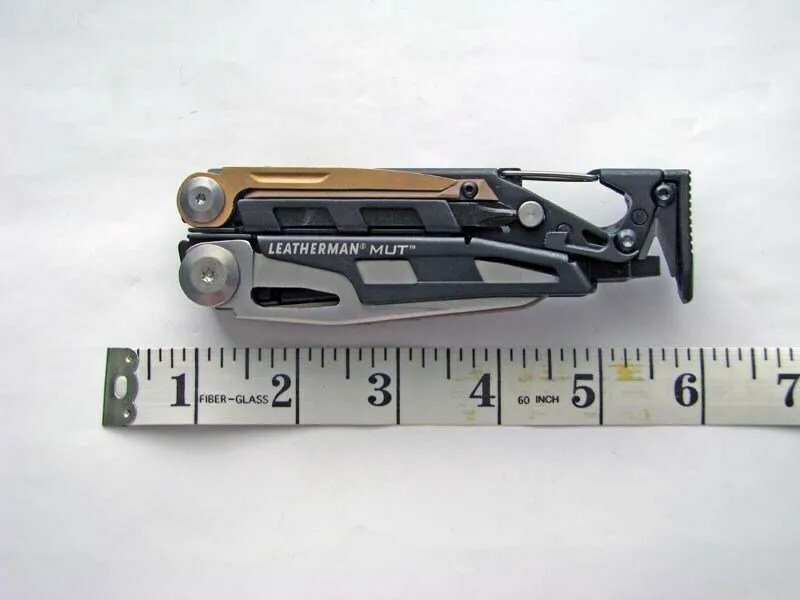 Leatherman just recently came out with a series of 3 tools designed specifically for the military or service sector. Here we are going to look at the EOD version. 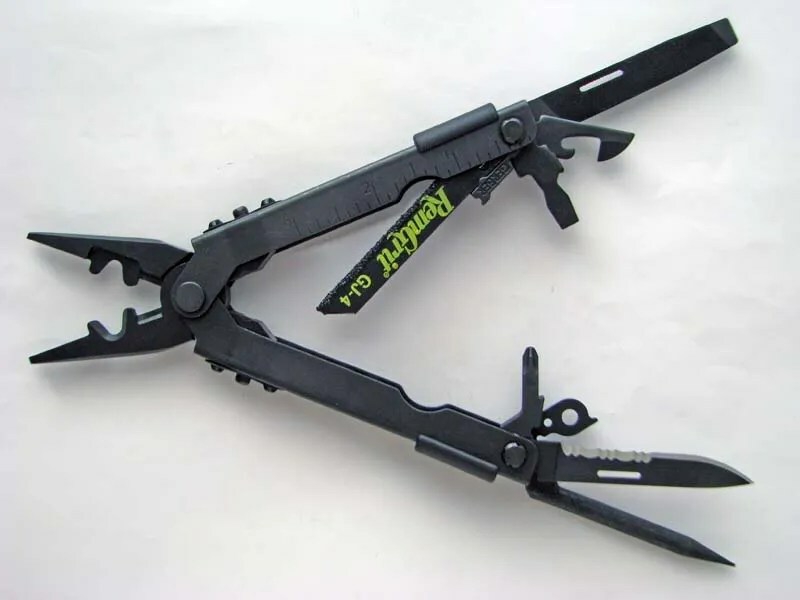 This is a big and heavy tool that differs from the other MUT in that it offers a C-4 spike instead of a firearm punch, and a blast crimper plier head. All other features are identical to the other version of the MUT. All MUTs feature an integral hammer/cutting hook, bolt override tool, carbon scraper, cleaning rod/brush adapter, bottle opener, carabiner clip, saw, wire cutters, knife blade, and long/short driver bits. The wire cutters are replaceable and made from 154CM steel. 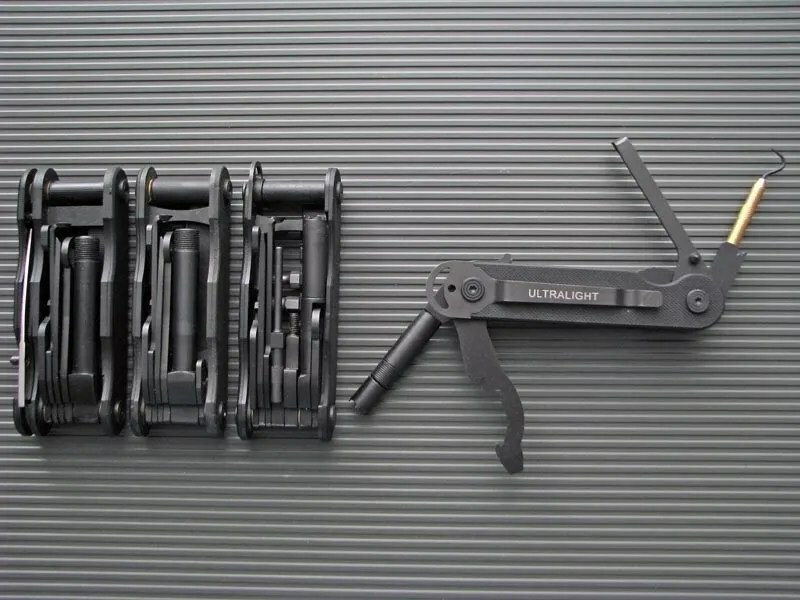 The MUT series also features a lot of replaceable tools. The cutters, cutting hook, punch or C-4 spike, and brass carbon scraper are all user replaceable. The Gerber eFECT was designed for the AR15, M16, and M4 weapon systems, and features OTIS gun cleaning component compatibility. The eFECT is a very small and light tool that offers 6 tools on tap. You get an OTIS nylon end brush, a punch, a carbon scraper, an interchangeable 4 /5 pin sight tool, a flathead screwdriver, and an OTIS curved pick. The tool is compact and light enough, but feels overly cheap for it. 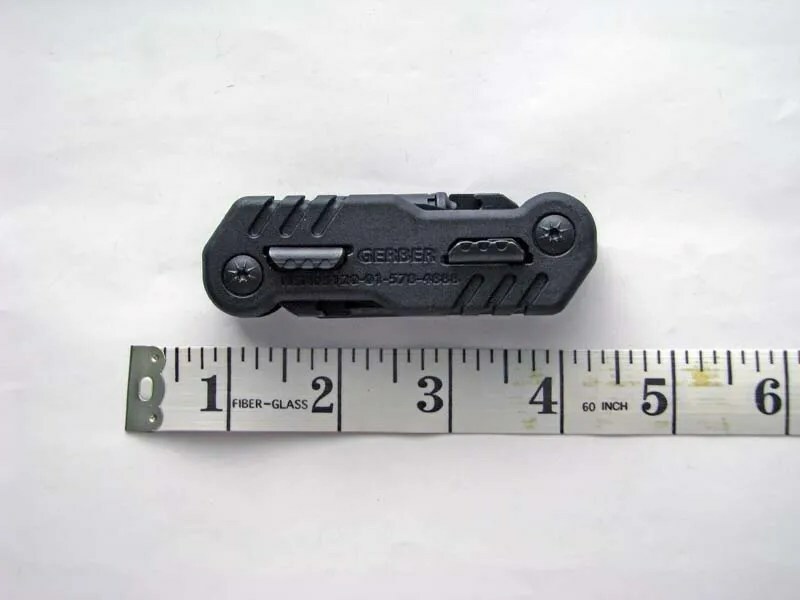 On the plus side, if you are looking for a compact and useful piece of kit that won’t weight you down…then the Gerber eFECT just might have what you’re looking for. This image has been resized. Click this bar to view the full image. The original image is sized 800×600. 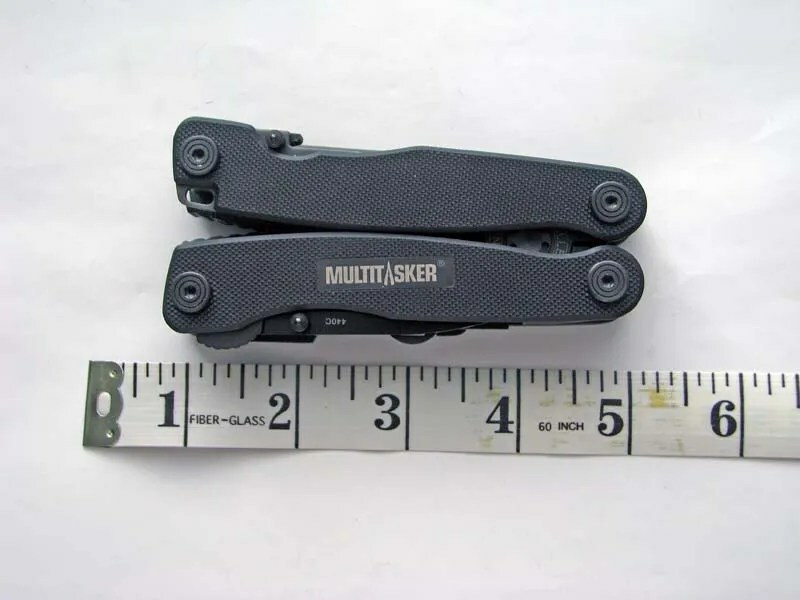 The AR Multitasker is geared towards the same market as the above mentioned Gerber eFECT. However, both tools couldn’t be further apart. 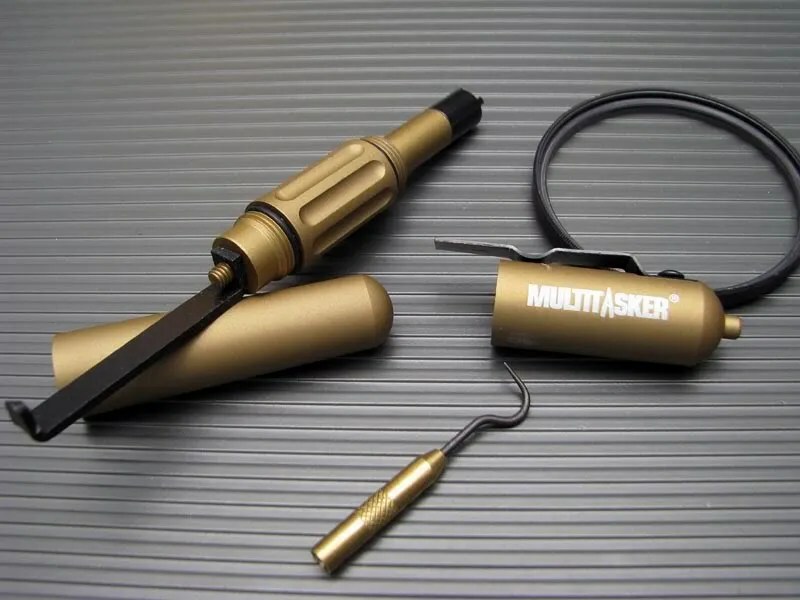 The Multitasker is plier based, and is a true piece of quality throughout. Billeted tool steel CNC pliers with ball bearings around the pivot points, A brass like alloy washer bushings used throughout. G10 handle grips that are backed by lots of metal. Can you tell I like this multi-tool? A brass dental pick is included, along with a carbon scraper, 4 prong sight adjustment tool, a castle nut wrench, a 3/8” box wrench, a file with 5/16” flat screwdriver, a tanto knife blade, a bit driver for ¼” interchangeable bits. The dental pick screws onto an 8-32 threaded male connector that will accept OTIS gun cleaning accessories and bore snake. Because the AR Multitasker is produced from a relatively small manufacturer, they are constantly improving their products. Consequently, the AR Multitasker is now at version 2.1. The following photo shows from left to right, AR Multitasker 1.0, AR Multitasker 2.0, and AR Multitasker 2.1. 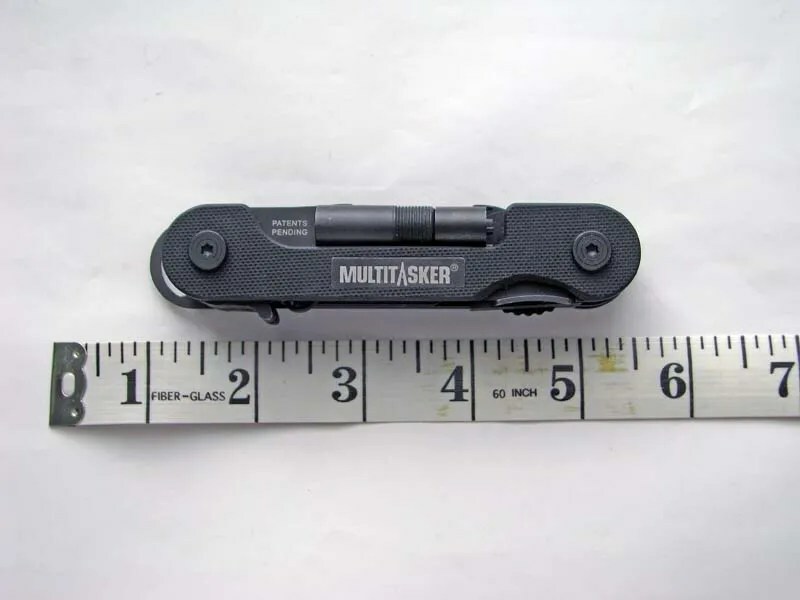 A more direct competitor to the Gerber eFECT is the Ultralight from Multitasker. This tool feels a lot more solid than the eFECT with its nonslip G10 handles, and solid metal underpinnings. 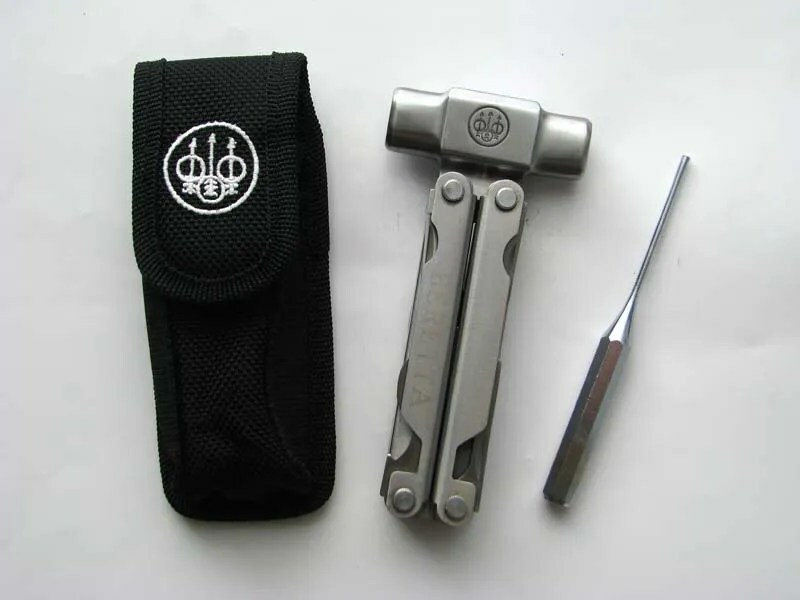 The Ultralight gives you a 4 prong sight adjustment tool which once removed, accepts ¼” interchangeable driver bits, a castle nut wrench with a 5/16” flat screwdriver. You also get a brass dental pick that unscrews to allow you to use 8-32 threaded OTIS accessories. The carbon scraper is shaped the same as the AR Multitasker, with a radiused tip that allows you to get into places a regular shaped scraper can’t. In the following photo, we have the production version of the Ultralight on the right, with 3 prototypes on the left. 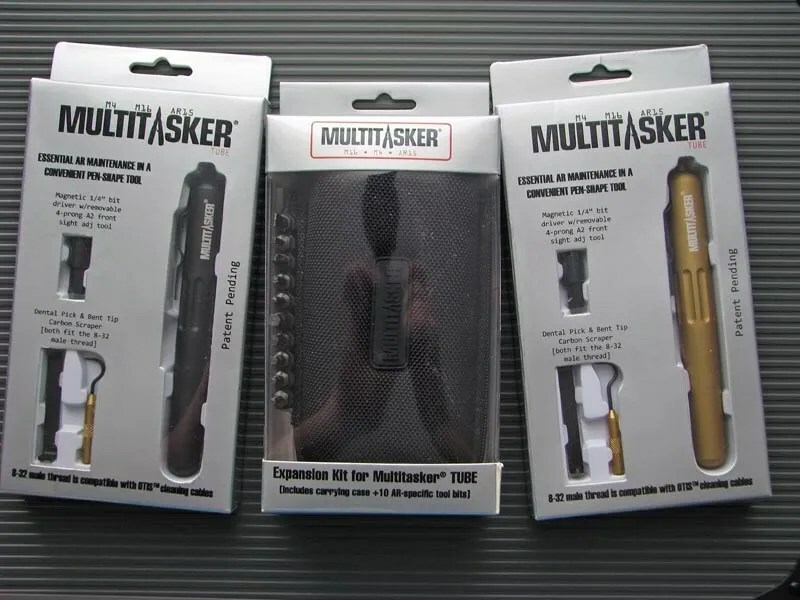 If you find the full sized AR Multitasker and the smaller Ultralight too large for your field kit, the Multitasker TUBE might be what you are looking for. This pen style multi-tool is small but does pack a lot of usability. Both end caps unscrew, and are well protected from inclement weather with a rubber O ring. The short end cap covers a ¼” interchangeable bit driver. The TUBE comes with a 4 prong sight adjustment bit. The other end unscrews to reveal an OTIS 8-32 threaded bolt along with the familiar Multitasker carbon scraper and brass dental pick. The TUBE is designed to complement an OTIS kit. You can buy an expansion kit for the TUBE. 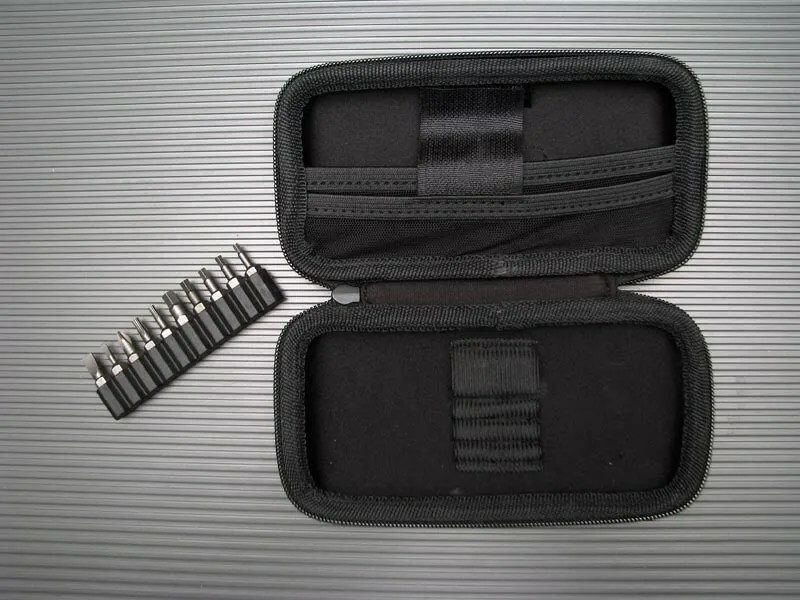 Included are 10 driver bits, a nice hard clamshell case that will hold your TUBE tool, OTIS kit bore snake and accessories. 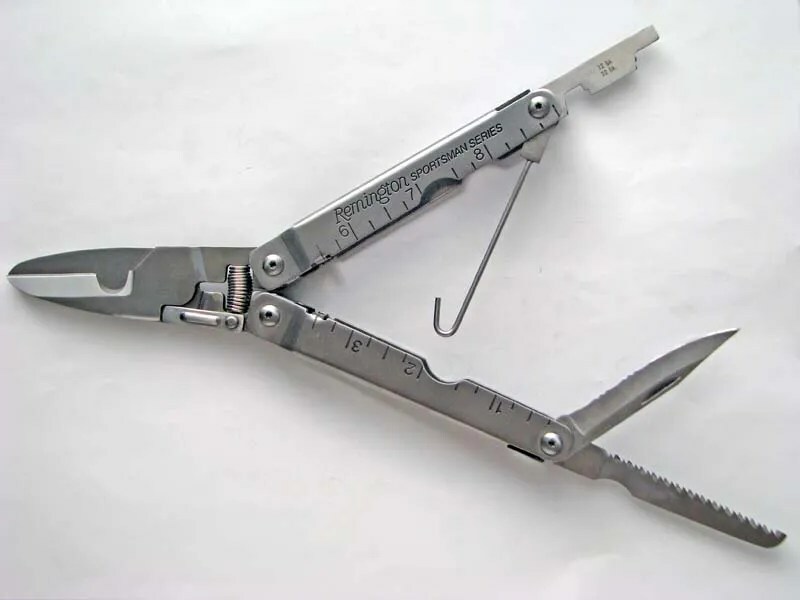 The Avid Design Gun Tool is a non plier based weapon maintenance tool. Unlike the majority of the other tools in this comparison, it isn’t specific to the AR15, M16 or M4 type weapons. Consider the Avid Gun Tool as a generalist in this group. Not to say you can’t use the others for generalist work, it is just that the Avid Gun Tool doesn’t have any of the specialized tools that the others have. 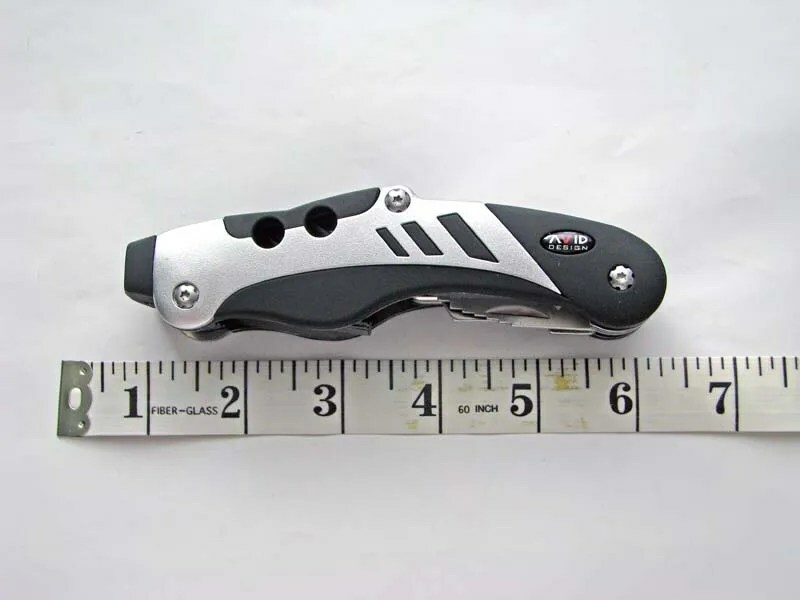 With this in mind, the focus of the Avid Gun Tool is that of long gun users. You get a pin punch, shotgun choke wrench for all gauges combined with a scope windage/elevation blade, Torx drives (T20, T15, T10), Allen Hex drives (3/32”, 5/32”), 1/8” and 3/16” flat screwdriver blades along with a #1 and 2 Phillips driver, a built in integral bit storage block with access door that holds 4 magnetic hex drive bits, and a claw-point knife blade that would be great for opening ammo boxes, etc. The body is made of plastic with rubber grips on a stainless steel frame. One end of the tool is a 3/16” driver. 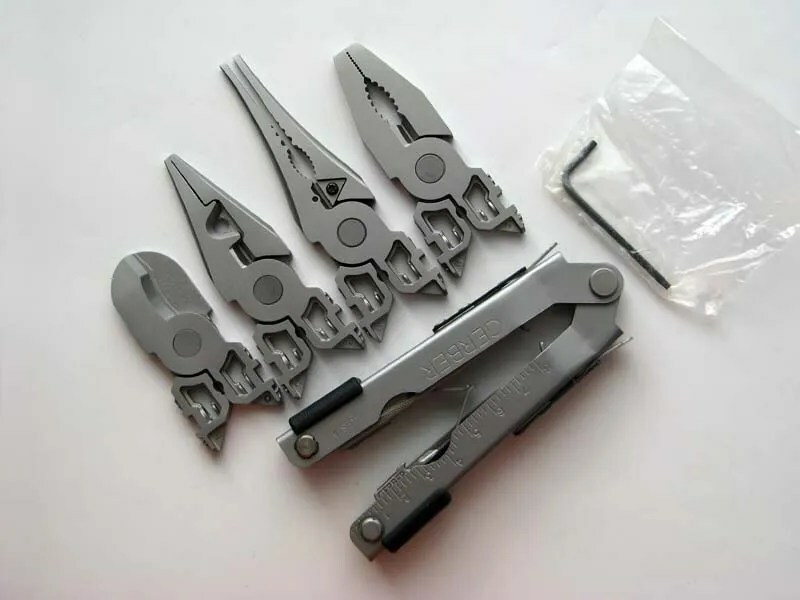 The regular version of the MUT exchanges the C-4 spike for the pin punch, and the cap crimper plier head for the regular plier head. Other than those differences, they are the same tool. There are two versions of the regular MUT. The black oxide version is not shown here. This version is great for those who don’t plan on playing with explosives in the field…which pretty much means this is the more popular and standard version of the MUT. 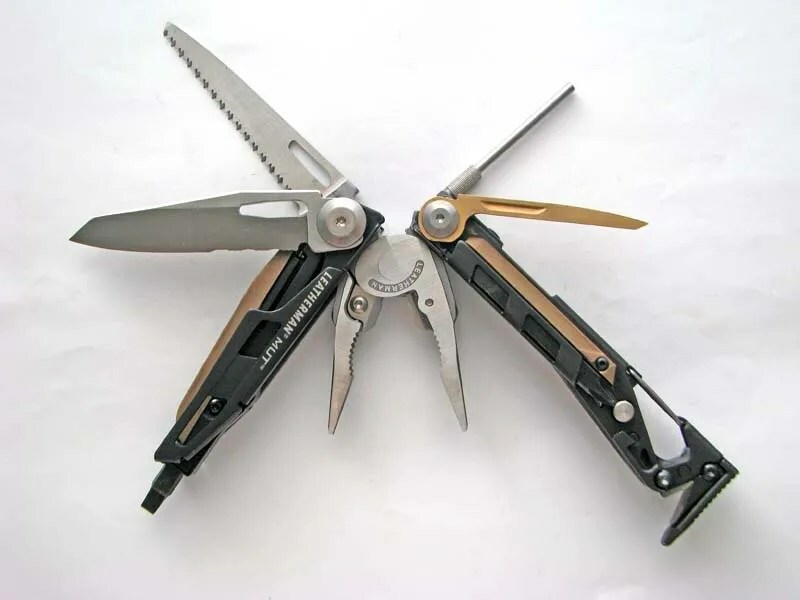 The now discontinued Leatherman Vista features pruning shears that are perfect to clear shooting galleries of unwanted branches, and also in cleaning up bird games as a handy pair of bone shears. 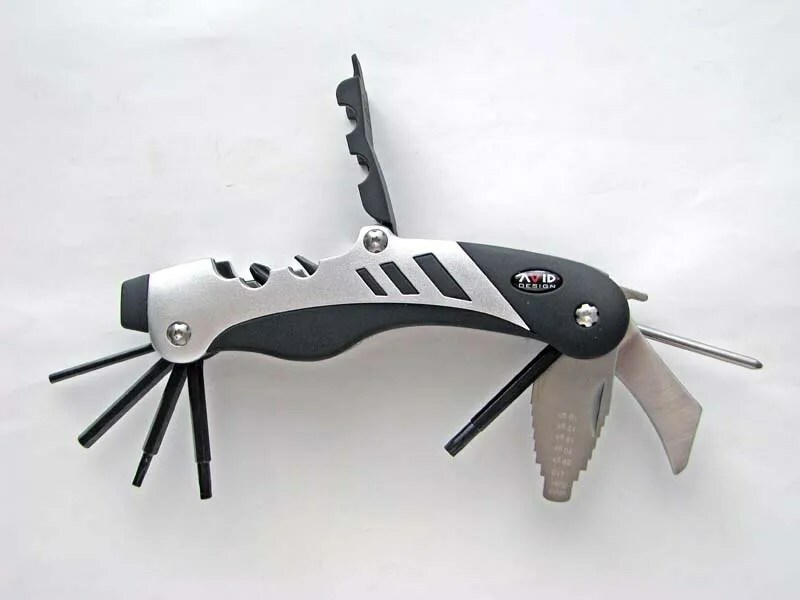 The Vista also gives you a handy saw, bottle opener, soft wire cutters, awl with threaded loop, Phillips screwdriver, flat screwdriver, and a shotgun choke tube adjustment tool. The Vista is a large and handy tool that features a non slip rubber grip in black and hunter green. 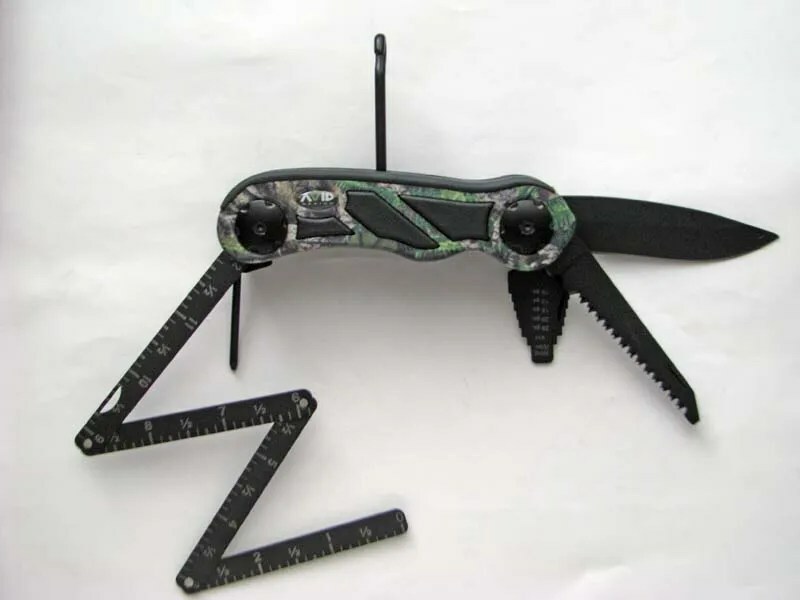 This tool would come in handy for tree stand hunters. 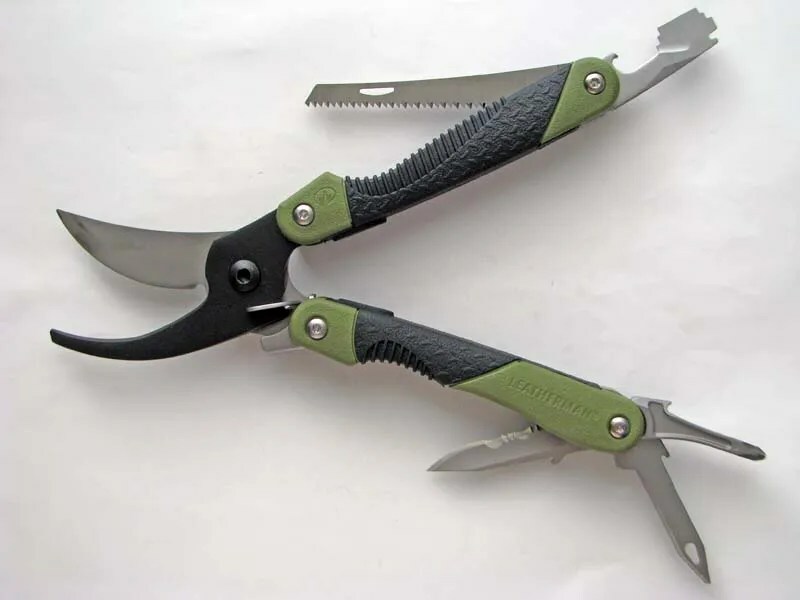 The Bear & Son Bird Shears offer a lot of tool for the Bird hunter. A very large bird shear is front and center of the tool, along with a half serrated clip point blade, saw, gut hook, and small flat screwdriver. 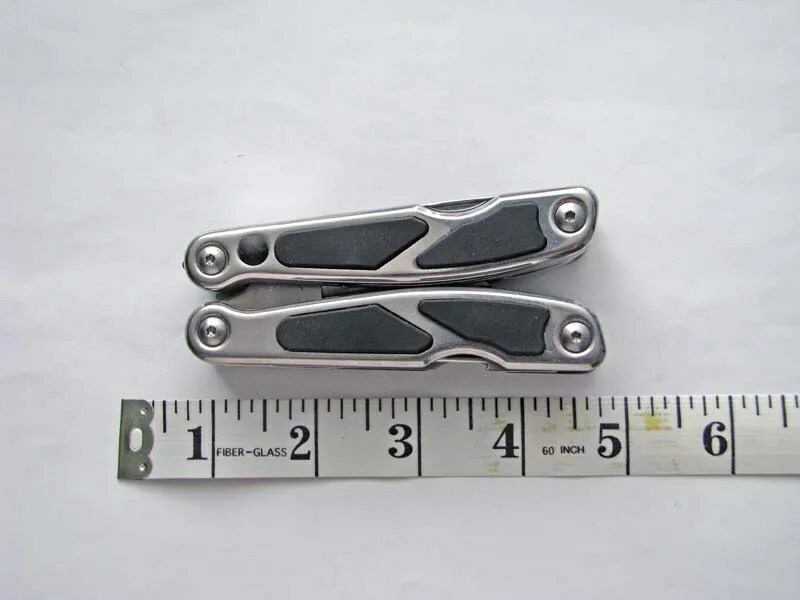 This tool is very well constructed with quality stainless steel throughout except for two large nylon spacers. The Remington Bird Hunters Tool was originally produced by Bear & Son and explains the familial resemblance to the Bird Shears mentioned above. This version was produced in China and lacks the quality seen in the Bear & Son products. This example has the bone notch in the jaws. All Remington Bird Hunters differ from the Bear & Son product by exchanging the flat screwdriver for the shotgun choke tube wrench. The Remington Wingmaster is another made in China birding tool. I believe it was designed to replace the Remington Bird Hunters Tool once they lost the right to manufacture the Bear & Son lookalike. The Wingmaster is a completely different tool. It features a built in LED light, the same bone notch as seen in the older Chinese made Bird Hunters Tool, 3” saw, 1 ¾” blade, gut hook, and a shotgun choke tube wrench. Overall, not a bad tool. I wasn’t exactly sure how to classify this odd tool. Does it fit into the armourer’s section, or the hunter’s section? Either location could fit I guess, as it comes with a mixture of tools that would fit either category. The Beretta shotgun tool is an odd duck through and through. It has a unique designed hammer with the handles folded out to give you a very nice leverage when using that hammer. The tool also comes with a separate 2mm punch pin for use with that hammer. 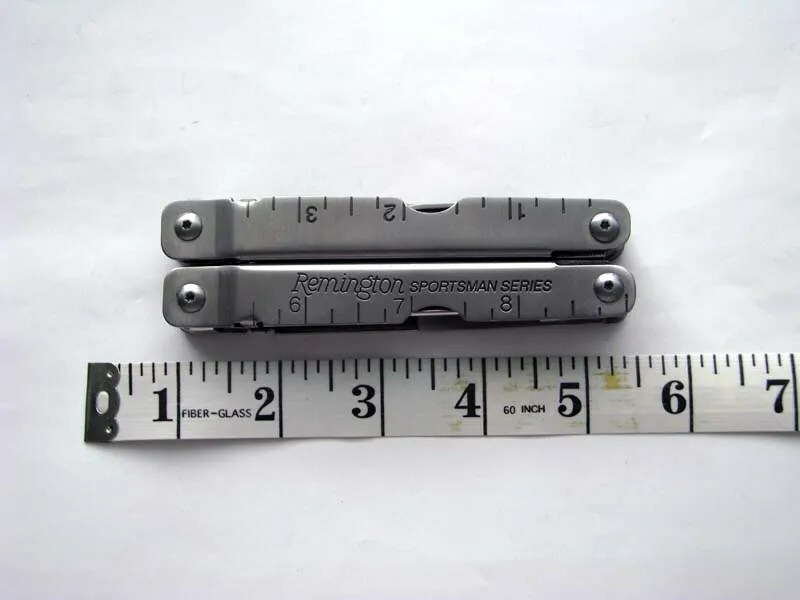 The tool does come with small pliers (think Victorinox Swiss Army Knife style and size), Shotgun choke tube wrenches, sheep’s foot blade, #2 Phillips screwdriver, flat screwdriver, and fine file. Integrated into the hammer, are 3 hex bolt nut wrenches. The whole thing is built from stainless steel and the fit and finish is excellent. 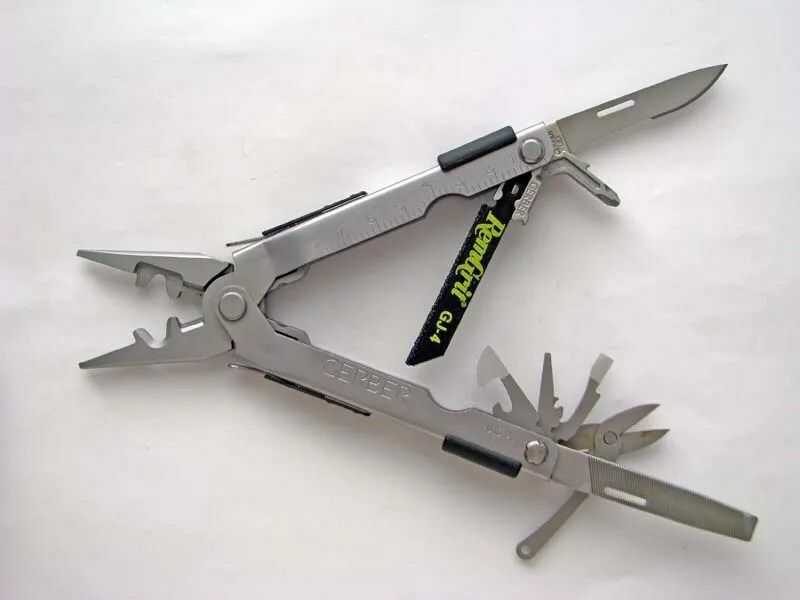 Avid Design Turkey Tool is a non plier based specialized tool for the Turkey hunter. You can’t talk about this tool without talking about the sheath. The sheath is unique in that it is part of a bird carrying system. The sheath opens up via Velcro fasteners. 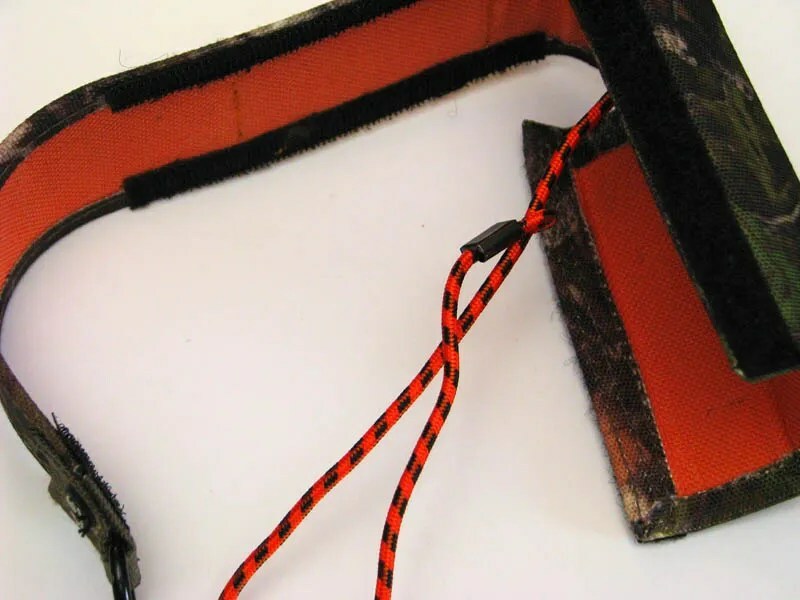 Inside the sheath is a slip knot noose for the birds feet/head. The inside of the sheath is also lined with hunter orange reflective surface. Once you bagged your gobbler, you can open up the sheath and carry the bird on your belt, or use the carrying hook found on the back of the Turkey Tool. The Turkey Tool also features a large knife blade, saw, shotgun choke tube wrench, punch pin, and a 4 piece folding metal ruler. 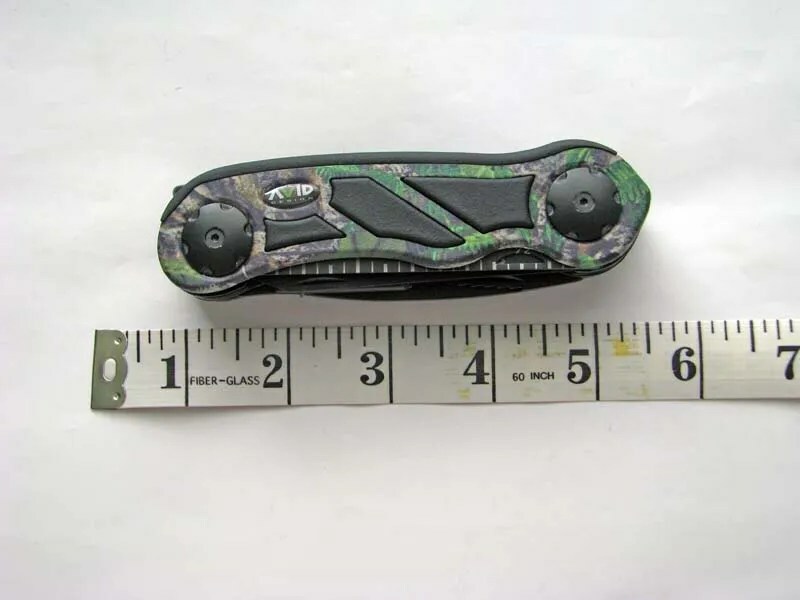 The tool is also camo painted with black rubber inserts for added grip. 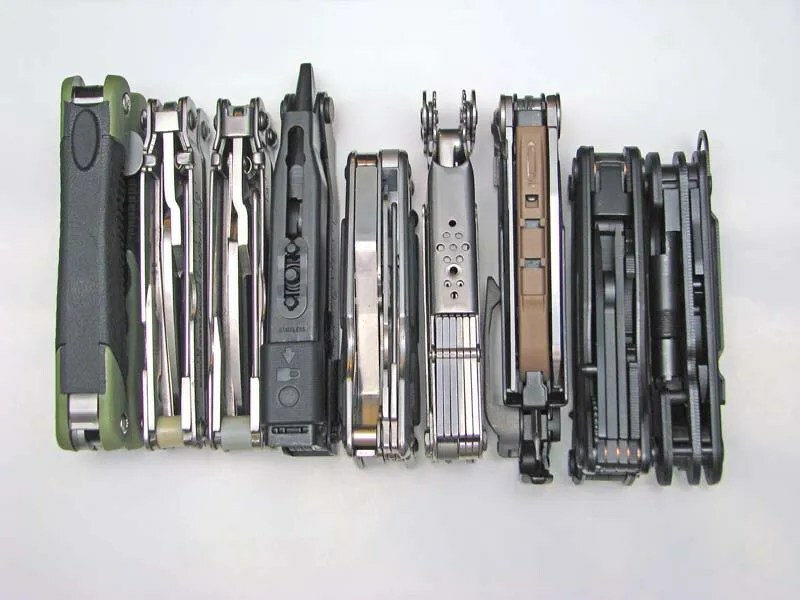 Well there you have it, a short overview of a good selection of specialized multi-tools. I will leave it up to you to decide which tool meets your needs. They all are capable, and each has their own unique charm and character. I will conclude this with other related photographs. 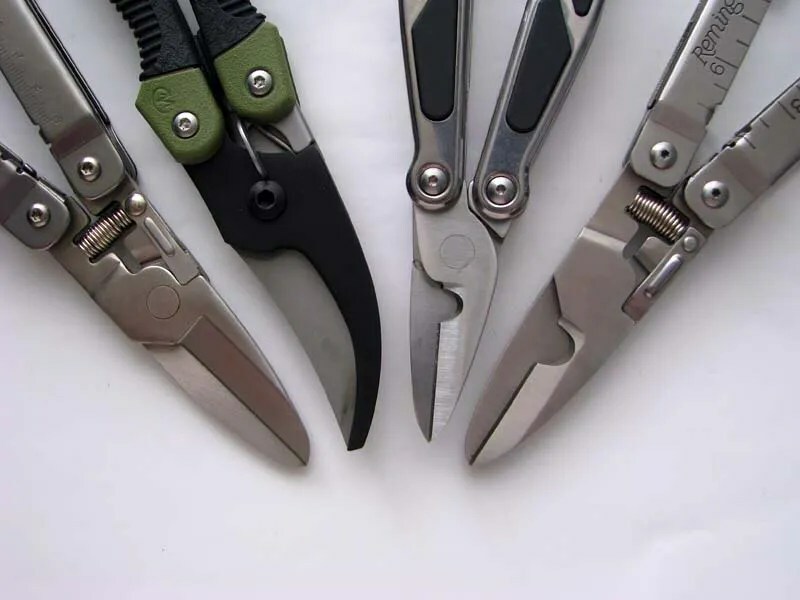 Comparison of various bird shears. From left to right: Bear & Son Bird Shears, Leatherman Vista, Remington Wingmaster, Remington Bird Hunters Tool. 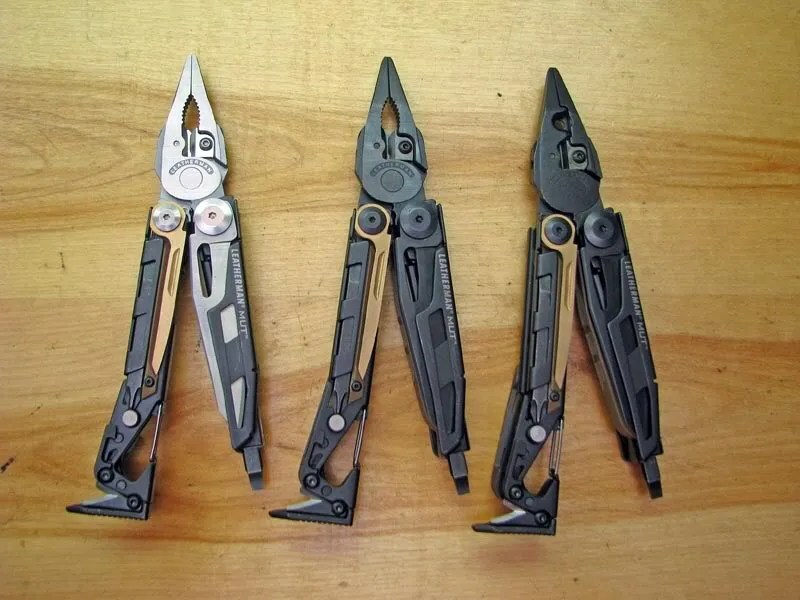 Leatherman MUT family. From left to right: MUT, MUT BO, MUT EOD. AR Multitasker with OTIS bore snake attached. Multitasker TUBE expansion kit showing the hard clamshell case, and included driver bits. 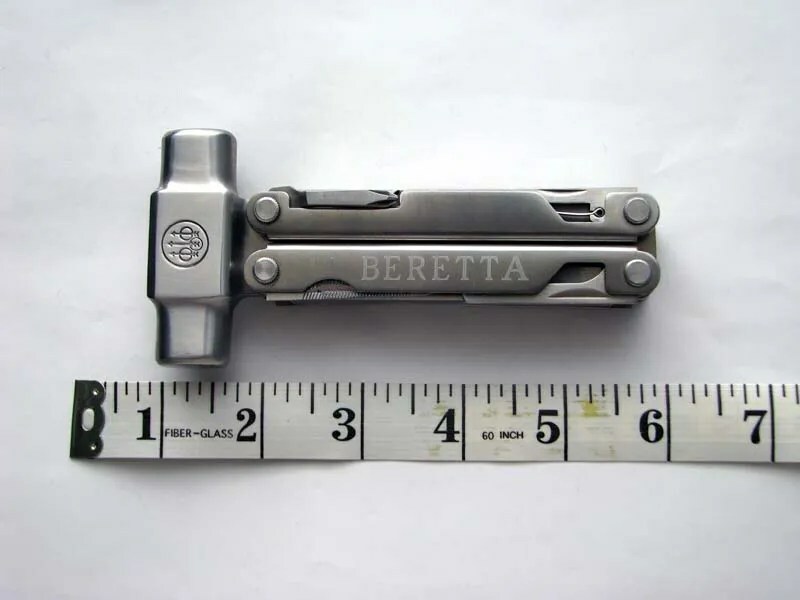 Beretta Shotgun Tool with punch pin and sheath. Gerber Military Tech Kit with Evolution MP650. 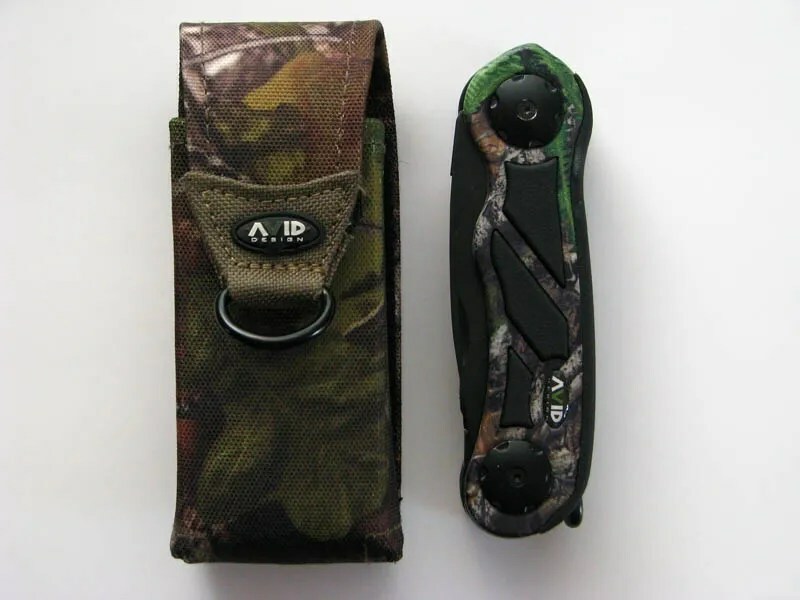 Avid Design Turkey Tool Sheath. Avid Design Turkey Tool with sheath.